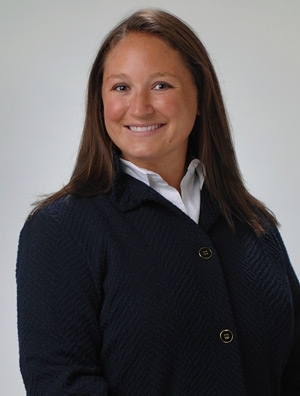 Anne ("Annie") McKeon is an associate in the Energy, Environment & Natural Resources Practice Group. Her practice focuses on energy regulatory law surrounding the electric, natural gas, water, and wastewater industries. Annie previously worked as an Assistant General Counsel at the Illinois Department of Financial and Professional Regulation, where she advised professional boards on industry practice acts, updated administrative rules, and reviewed proposed legislation. Annie spent the majority of her career as a Legal and Policy Advisor to Commissioner Sherina Maye Edwards at the Illinois Commerce Commission ("ICC"). She has extensive experience with state regulatory proceedings, including rulemakings, traditional rate cases, and performance-based formula rate cases. Annie is well-versed in regional transmission organization and Federal Energy Regulatory Commission matters, particularly those concerning the Midcontinent Independent System Operator ("MISO"). She also has expertise in cybersecurity/critical infrastructure protection, energy procurement plans, Smart Grid, distributed generation, and energy efficiency. Annie has written and spoken on several relevant industry topics. Public Utilities Fortnightly articles include the two-part "Cybersecurity: Opportunities and Challenges for State Utility Regulators" (February and March 2017 editions) and "Start the Conversation: A Regulator's Role in a World Divided by Distributed Generation" (September 2014 edition). Presentations include "The Acquisition of Troubled Water Systems" to the Bipartisan Policy Center Water Taskforce Roundtable, and ICC Policy Sessions "The Role of Government in Cybersecurity" and "Market Challenges to Integrating Renewables at the Regional Level."